In business, transitioning from idea to profit is a journey. As many of you know, within a year of blogging I was able to quit my day job and freelance full time! While it’s been super exciting, it’s also been a learning process. One of the most exciting parts of freelancing was being able to work from home and start saving more money! No more long commutes, spending money on work clothes (hello, yoga pants!) or going out to lunch with coworkers. 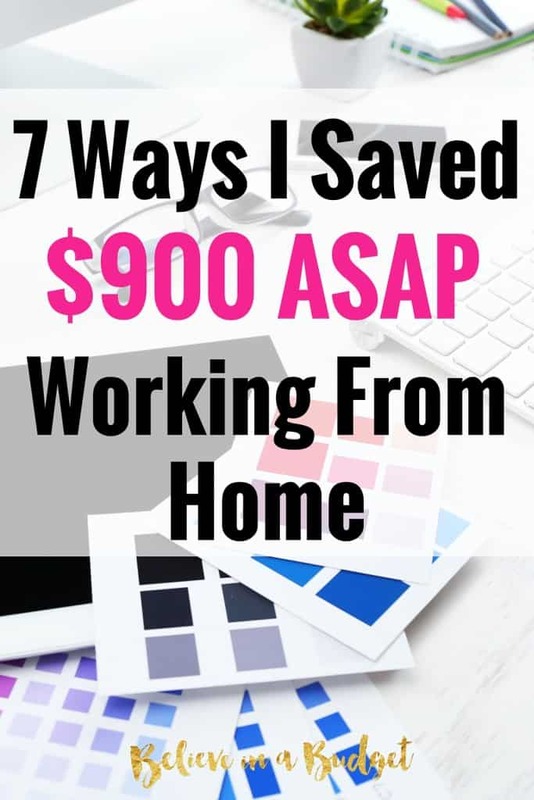 There are so many steps a freelancer can take to save money when working from home. While many people assume working from home is cheaper, you still have to be careful how you spend your money. Without realizing it, my electric bill increased the first month I started working from home. During the workweek, I would turn the thermostat up before leaving for work. Once I started working from home, I realized I was running the A/C the entire day, which caused my electric bill to increase! After I realized this increase in expenses, I became very aware of all my daily and monthly expenses. While I assumed I was saving money working from home, I went through all of my bills to make sure I was getting the best pricing available. I also realized as a freelancer I would need to be a little more thrifty with my spending, especially the first few months on my own. Once I started freelancing from home, the first thing I checked was my internet bill and usage. Internet services can be very competitive in price and can be negotiated. Unfortunately, if you have ever had your internet go down you know that your business went down with it. Quality and reliability are as important as price, so shop around for the best price. Because I lived in a competitive area, I was able to re-negotiate my internet plan with my current provider for faster speeds and higher bandwidth for the same price. The higher plan would have cost me an extra $20 a month, so this was a great deal! Have you given a thought to your coverage plan since you signed up? Are you paying for things you don’t use? There is a huge range of services and prices in the cell phone market. If you work from home, you might not need all the bells and whistles your cell phone offers. Extra data plans and internet packages might not be necessary if you are using the internet at home. I was able to save $10 a month on my plan by getting a lower package. While these savings seem small, this would save me $120 over the course of a year! If you ever decide that you want additional funds to put in to your blog / business this is a great place to look. Consider downgrading your plan to save money. Monitor monthly subscriptions and take a look at your bank records. How many apps, services and game sites are you actually paying for? Do you really need that game on your cell phone now that you are home all the time? Did you sign up for a free trial and then forget to cancel? When I first started freelancing, I paid for a couple of apps on my phone. I thought they would save me time, allow me to become more organized and help me be efficient for my business. After a month of not using them, I realized I didn’t really need them and cancelled them. I saved nearly $20 a month by doing this. Over the course of a year, I would have spent $240 on apps I wasn't using. That's crazy! Keep what you actually use and trash the rest! Car insurance can be so expensive. Once you start working from home and no longer commute, or you don’t do much driving in general, you might want to consider switching your auto insurance. When I lived in Seattle, I switched my car insurance to Metromile. I paid per mile each month instead of a flat rate. Since I lived in a big city and barely ever drove, this was a great solution. I saved over 50% by switching to Metromile and this was one of the easiest ways for me to save money and reduce my spending. Switching car insurance plans to a pay-per-mile plan could be a great solution for a new freelancer who is looking to save money. No, you don’t have to be a genius to join! These groups are small communities of fellow bloggers, side hustlers, virtual assistants and more. There is a Mastermind group for almost everything. The best part about these group is that they are free. Join a group and learn from others instead of paying for a service. My Mastermind group has been immensely helpful. 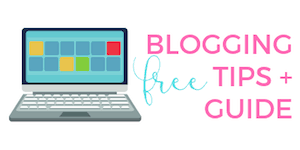 I’ve learned what plugins and apps to use, what social media scheduling services are free and more. I’ve also developed a great online community of friends and peers, which I no longer have working at home. Trading services can be a win / win for all involved. 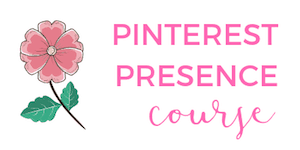 Maybe someone in your Facebook group needs a logo and you need a blog post? Helping each other out allows you both to take a step forward in your business, save money and possibly give you a great testimonial too! There are some really good tutorials and classes for free, including the public library. While everyone knows you can check out books, most libraries also offer free classes to its members. Most libraries offer courses in person as well as online. I recently took Photoshop I, II and III via an online, remote course through my library. I was able to follow along from the comfort of my home! These classes could have cost a small fortune if I had paid for them. Don’t forget to explore what your local library has to offer before paying for a class. Be a frugal freelancer! Saving where you can now so that you will be able to invest more in your business is very savvy. I managed to save over $900 almost immediately by taking action with the above list. I also learned how to barter my skills with my fellow peers and find free resources to further educate myself. Don’t just settle for paying when you have options! 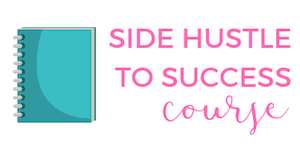 Are you thinking about a side hustle or online business? What is holding you back? Today's post is in partnership with Metromile, a pay-per-mile insurance that saves low-mileage drivers a ton of money. Thanks Alyssa! What’s your biggest money waster? I have definitely seen my electric bill increase since I have been at home. Not only do I run the heat and A/C more often, but I do laundry, use the stove and microwave, etc. It all adds up! It does add up! I definitely have to keep an eye on things, especially leaving the lights on when I leave a room. And I go through a lot more supplies, like paper towels and TP! Kristin, this is helpful as I have started to freelance more! Do you have a post or one coming up on how you get more freelance opportunities? How would you suggest freelancers to grow their client base? So excited for your success and love following along! Ooh, good idea for a post! When I first started out I was fortunate to have people contact me directly, mostly because I was blogging about my services in posts. I did send out cold pitches to a handful of bloggers that I really admired and I had probably a 50% success rate. The great thing was for the bloggers that didn’t need my services knew what I offered and send me referrals 🙂 I’m not into places like Fiverr or job boards. Having a Hire-Me page and a portfolio is also really helpful. Good stuff, Kristin. I had to laugh out loud about the electricity issue. For me, it was amazing how much money I saved on food by eating leftovers for lunch instead of having to buy a meal while at work. My next call will be to my Internet provider to see if I can negotiate a better rate. Wish me luck! My electric bill has always been all over the place! It takes so much effort for me to remember to turn lights off and not abuse the a/c haha! Good luck with your internet – do you homework first so you can slay him with data about a lower rate!